Notes: Henshall [Kanji #56] states that, in ancient times, snakes and insects were treated alike, so that 虫 mushi is a crawling “insect” with a carapace rather than a shell, prob. from 巳 shi , a “snake”-like snail with 巾 mu “cover, protection”. Cf. 巳 shi with AB *058 SU. 巾 appears to have been reanalyzed as 中 chu “inside, middle”, an alternate name for “insect”. In ja.di.ro, however, the notion of protection is expressed in 呂 ro “backbone, spine”. Hallager, Erik. 1996. 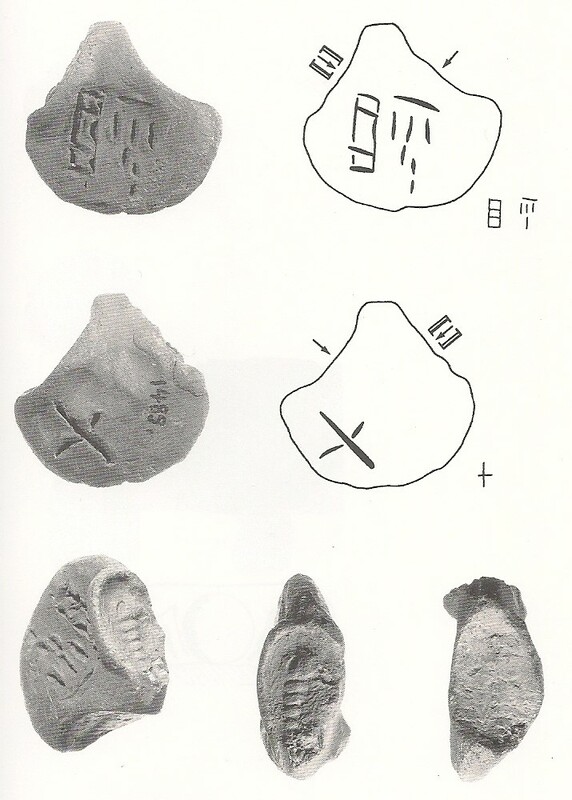 The Minoan Roundel and Other Sealed Documents in the Neopalatial Linear A Administration. Vol. 1 & 2. Austin: University of Texas. Henshall, Kenneth G. 1988. A Guide to Remembering Japanese Characters. Rutland, Vermont: Charles E. Tuttle Co.